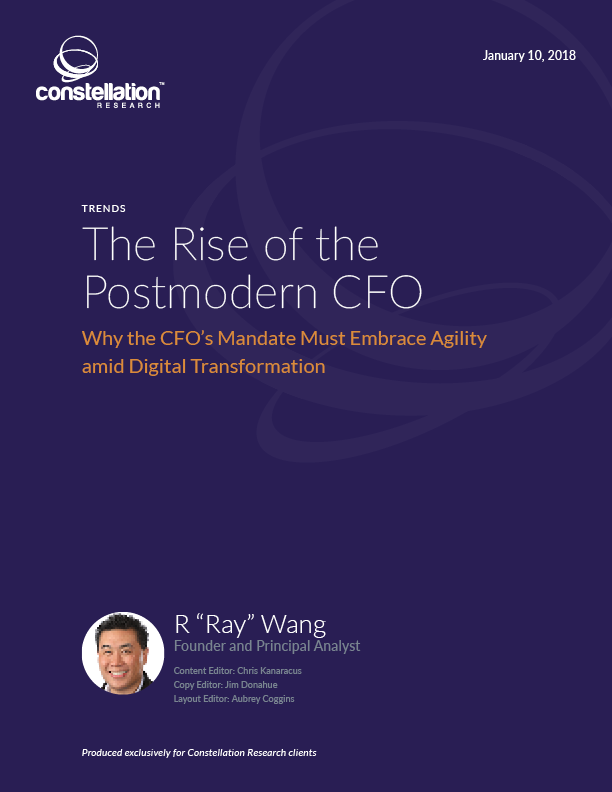 The Rise of the Postmodern CFO | Constellation Research Inc. The CFO role faces a plethora of pressures. As the job evolves from that of a traditional finance and accounting executive to a broadly strategic function within enterprises, fundamental changes in business models and non-traditional challengers requires a postmodern CFO archetype to emerge. Using the Constellation Business Hierarchy of Needs as a framework, this report highlights the key shifts in the role. Conversations with more than 100 innovative finance leaders indicate the trends that postmodern CFOs will face in 2018. By year’s end, Constellation predicts that the CFO will gain ground as a strategic player in the executive suite.